STOP THE PRESSES - they've added a MAP!!! Confirms they're ripping the 384 away from almost all the twists and turns in New / East Barnet. One wonders why they couldn’t just have put the map there before publishing it. I do have a theory though... they’re rushing the consultation through. Not only due to the initially incomplete consultation but the consultation period itself is 42 days. They’re in a hurry with this one. Might even be 2 weeks earlier to coincide with 79 change (24 Nov), although this is less likely, even if RATP have to put some buses in a more remote garage during the 2 week overlap due to space issues. For me, I'm not local knowledge enough for that area. However, I think it is a good idea for this new way for route 384. Shame they couldn't re-route it to go along Deansbrook at the other end, i.e. go down Hale Lane into Mill Hill and then along Deansbrook to Edgware (along the old 303 route), would definitely make it even more useful. Nice to see a potential TfL direct link between Barnet and Edgware, previously used to do 107 between the two areas frequently (before hopper existed) as well it was cheaper but also the connection times for a 292 at Stirling Corner was pretty much always -1 minute for me . Not sure Uno will be all that pleased with this however. All I'm going to say for 606 is I'm glad I don't need it anymore. I only did once to get off at bus stop at Stirling Corner change from bus 107 and wait for bus 292 by one minute. That was before countdown and App on phone. However About time for TfL come to sense to make a right thing! If your a 292 passenger who travels to Borehamwood and aren't near the 107, you get a raw deal out of this consultation with your route dropping to every 20 minutes. During the regular period I used it, albeit only on Saturdays, it was certainly a decent loaded route throughout the day but no idea how it's been over the last 2-3 years. If your a 384 passenger, it depends where you board & alight as to determine how good this proposal is. From an outsiders point of view, making it far more direct between Cockfosters & Barnet certainly looks good however, I'd be amazed if there wasn't a lot of demand from the roads that will no longer have a bus service - whilst I did only ride the route the once (with a DES), many of these roads is where people boarded and alighted including a wheelchair user and thats my worry with such a change (as well as the sneaky 50m increase to the 400m limit), especially as route like the 384 were introduced to not be the most direct but to penetrate areas with lots of housing and smaller roads. Maybe the way to resolve this is to extend the 299 to Barnet, Quinta Drive or even just Barnet, The Spires and then restructure the 384 to become the direct Barnet to Edgware link (Cockfosters/New Barnet to Edgware) so that the indirect routing is still retained for locals. The problems with this is the 299 is every 15 mins rather the 384's 20 min frequency and the 384 basically duplicates the 107 along a section that could potentially be viewed as not requiring more than the 107 itself. Hmm, very interesting. I think the 384 to Edgware was inevitable and indeed I think both Snoggle and I thought this was roughly what would happen once that TFL PowerPoint was revealed a few weeks ago. There has been a demand for an Edgware/Mill Hill to Barnet link for many years so I can’t argue with that element. And such a link was on the list of third (I think) tier ‘possibles’ on the report into hospital connections, so it was bound to be a ‘possible’ at least to give that direct connection to Barnet Hospital from the west of the Borough. Obviously a shame for those losing their service on the back streets of East Barnet. I think part of the reason for the haste might also be able to show ‘improvements in outer London’ and ‘new links’ before the central London cuts become official. So they can say that there is investment and a shift of resources rather than simply cuts. (If this was change in mind it also explains why the new 303 couldn’t run from Edgware to The Hale via Hale Lane thence Deans Lane and eastern part of Deansbrook). I guess the big question here is what’ll happen to the 292 and 107 over time. The 107 provides the indirect meandering connection from Edgware to Barnet so further restructuring might not be a surprise. I am also now fascinated to see what the potential 221 change might be. I, like yourself, have only used the route once and that was back in the days of bunking off school to ride buses to see London and the twist and turns had me wondering where the hell I was! And the bus was a Marshall as well, thinking back it was still a novelty to see low floor buses and I loved the design. I vaguely remember the journey as well. The buses were well used by the more ‘mature’ person and I’m afraid that although I’m sure TfL are right to say the numbers are light I still feel for those who try on it and would now have to walk ‘just’ 450 metres to use it. I think it shows TfL’s policy for money over the needs of those they are serving sadly. I think a better compromise would be to make the route infrequent (like every 18-22 minutes) and regulate as necessary at key points. If the base user is the elderly then I don’t think they’ll mind holding for a couple of minutes here and there, they will appreciate their doorstep service more. I know people will suggest that infrequency and a non-direct through line negates the whole idea of the through service but now that hopper is out people have the choice of changing buses. The 384 idea gives people an option that other Londoners have had taken away from them so should be grateful. 292 - Annoying thats its been cut in frequency, but tbh could of got a more worse off deal, 20 minutes isn't necessarily so bad and its only a 5 minute decrease from current frequency, would rather this then the route to go completely or be something more stupid like hourly (Which I know wouldn't happen but still). 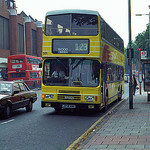 The 384 is a useful extension for people to do a straight forward A-B between Edgware and High Barnet, before it was a nightmare for me having to get a 251 to Totteridge and then swap for the tube, however I can sympathise with anyone who is losing the 384 on the back roads in Barnet, so theoretically the 384s plan could be good and bad, benefitting people who want to go from Edgware/Mill Hill - Barnet and vice versa but at the same time taking something away from some roads in Barnet. I guess with this it will be interesting to see how it all pans out really. I reckon the 107/292 will be fine - The 107 serves much of Elstree, and is one of the only tfl routes that does and it connects Elstree/Borehamwood to Barnet and Edgware, a lot of school kids also use it in the morning, the bit that might lose some patronage is the bit between Stirling Corner - Barnet as the 384 will basically cover that now. The 292 as well should be fine as well, seeing as it provides a direct link between Edgware and Borehamwood, with the 384 only going as far as Stirling Corner, also going to Colindale the other end, which again connects Colindale and Borehamwood, I can see a possible passenger drop, but nothing overly massive just so long as tfl don't mess with the frequency anymore. I too am fascinated to see the 221s potential change, hopefully it can be re-routed down Deansbrook too, as Hale Lane is looking quite Over-bussed at the moment. Seems to me like this could be a step towards fully withdrawing the 292. With suggestions of reductions both on cross border routes and on the Edgware Road corridor. Looking at specific journey times, the 107 is actually slightly quicker from Edgware to the town centre in Borehamwood. 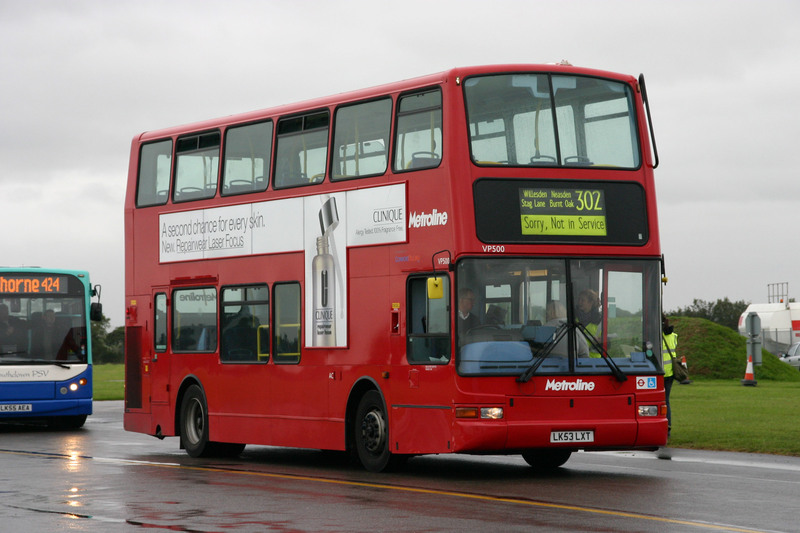 The 292 is only quicker to the surburbs to the east of Borehamwood. An alternative could be to reroute the 292 from Stirling Corner, with a DD service every 12-15 minutes between Colindale and Cockfosters. However, I think the 251 could be an alternative route to link Edgware to Barnet. It serves Mill Hill, so this would gain a new link to Barnet. Divert the 251 from Whetstone to Barnet Spires, going via the 326 but without the Dollis Valley loop. The section to Arnos Grove from Whetstone to fully duplicated by the 34, so could be unreplaced, plus the 221 links New Southgate to Mill Hill and Edgware. Then divert the 326 through Totteridge Village (providing new links there), then along Barnet Lane (already partly served by the 606) to existing line of route at High Barnet Station. By serving Barnet Lane, the long Dollis Valley loop may not be needed anymore - if there is some demand for a service directly within the estate, the 389 could even be modified to serve it. Then also extend the 326 slightly to terminate at Hadley Green (if stand space can be found), to serve the north end of the high street by a TFL service. With all those small roads taken away (thou on the map Westbrook Crescent looks small) the route could possibly use buses longer then the current 9.7m ones which would allow capacity to increase. I thought Barnet (and Croydon) had been specifically named as boroughs which were going to receive these (hitherto mystical) 'extra' buses. On the maximum walk test, well, we're all getting younger, aren't we? The way my own walking is deteriorating, that sort of distance on a regular basis, twice a day, could prove problematic, particularly with shopping. The 292 is quicker to get from Edgware to Borehamwood, and the 384 extension does not replace this link, there will be a need for the 292 unless another alternative route gets routed to Borehamwood, which I see unlikely.